FOOD, France, Paris, TASTE TRAVEL, What is in my glass? On cold blustery days (the kind we’ve had a lot recently) the tarps covering the market stalls look like they’ve been pulled extra-tight together, huddling up close in solidarity. On the nicer, sunnier days, there is a little jazz trio playing notes that dance with the patches of sunshine through the alleys of the market. 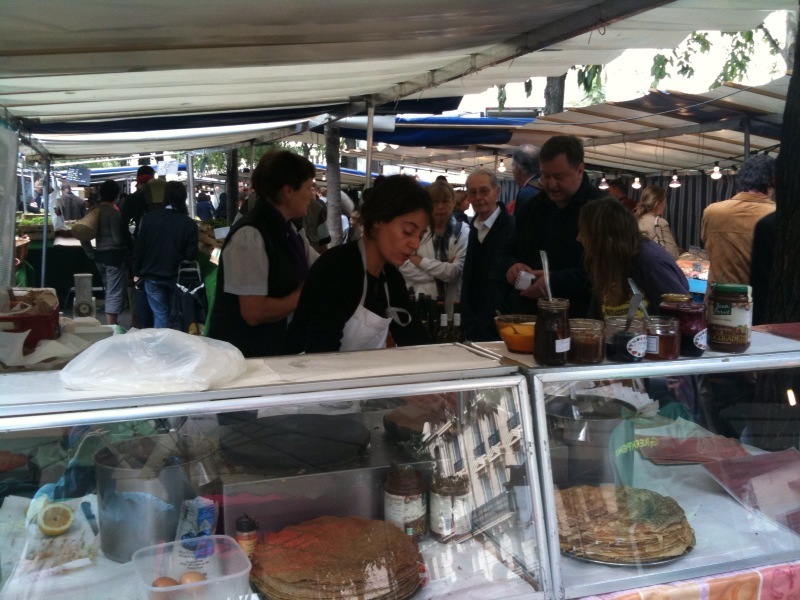 Come rain or come shine, if I’m in Paris on Saturday morning, I make it to the Bio market on the boulevard des Batignolles (between Place de Clichy and Metro Rome). Something about it always puts me in a good mood and makes me see the lighter side of life after a long week of work. It’s at the cider stand that I usually start my visit. 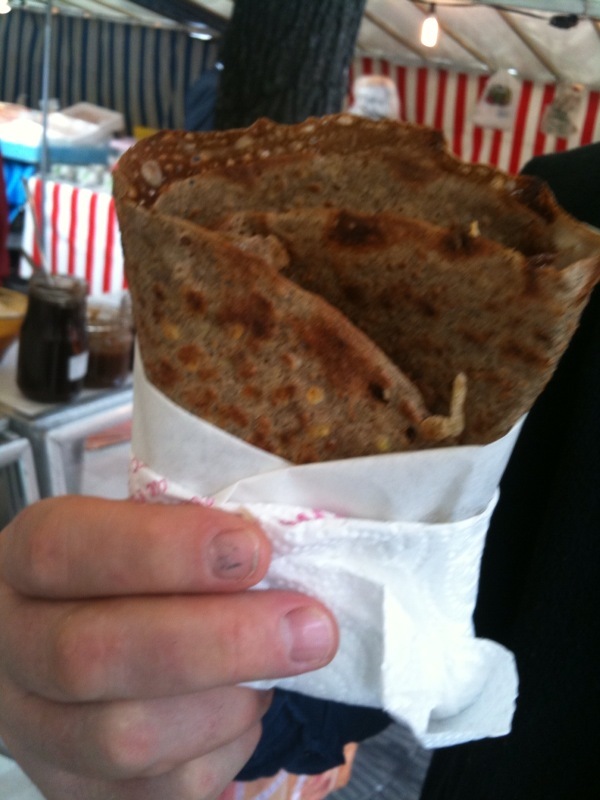 That is because the cider man (who is also a poet) brings a little lady who makes crepes to order. All organic ingredients. 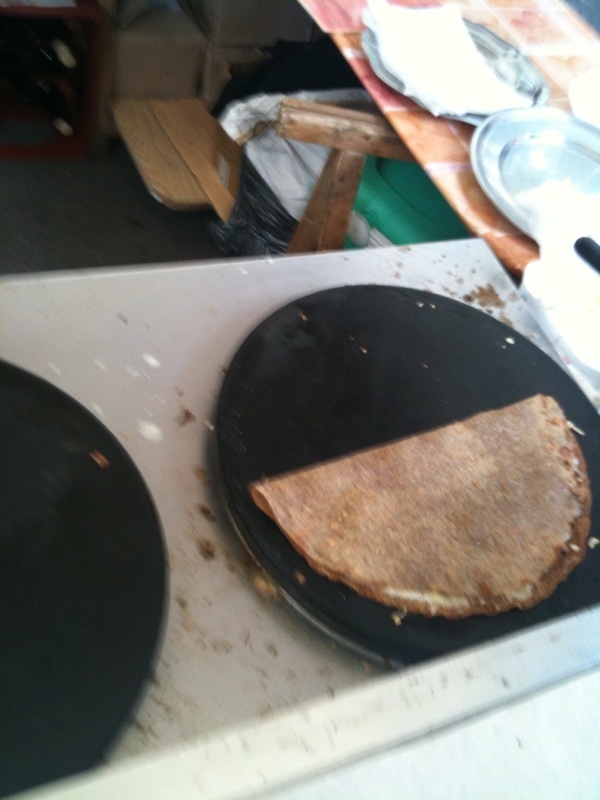 Buckwheat or regular flower for the crepes and a choice of fillings from organic homemade jams too hazelnut-paste. I always go for the ultimate: egg and cheese with salt and pepper. Everything is fresh. Everything probably comes from their back yard in Normandy. It is delicious. Warm. Crispy on the edge and moelleux (soft) at the end. The egg and the cheese just taste as fresh as any you’ve ever had. The pepper adds a little wink and a kick to wake everything up. And, of course, a little glass of cider or poiré to wash it all down.